Although it is still six months off, the Australasian Gaming Expo is already 82% full, reports the organiser, GTA. 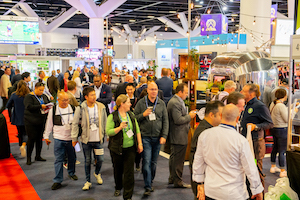 The Sydney show, beginning on August 13 for a three-day run, has 19,000sq.m of exhibition space in all, making it the largest gaming show in the southern hemisphere. The organiser reports that visitor registration is already open with major social media networks to simplify the process with auto-filled fields. Registrants can also see who is attending among their social media contacts and identify the most meaningful and relevant contacts they will benefit from meeting at the event.